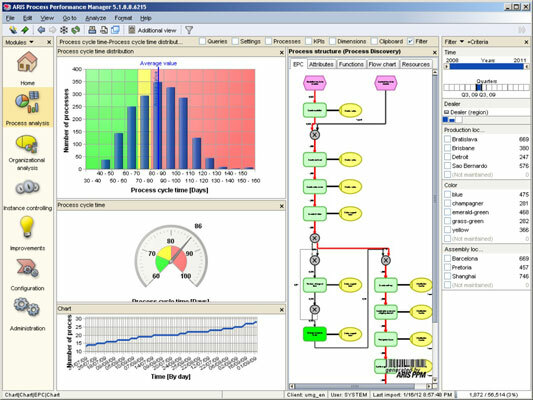 Process intelligence tools give you all the information you need to understand what’s happening with process behavior and performance in a Six Sigma Initiative. These tools are vitally important because they provide visibility into the bottom-line results of your projects and programs and give you the necessary information to affect change to help your initiative progress in the right direction. Enterprise-class integrated technology packages include a suite of tools that capture process information in real time, providing effective management information and control tools. Query and reporting tools help you cull information from databases and create nicely formatted reports — often called dashboards. This class of tools isn’t specific to Six Sigma, but because they’re generic, they’re adaptable to the application. The balanced scorecard is an applicable management tool for Six Sigma managers. With its balanced focus on customer, process, team capability, and financial metrics, the balanced scorecard is an ideal executive tool, generally speaking. 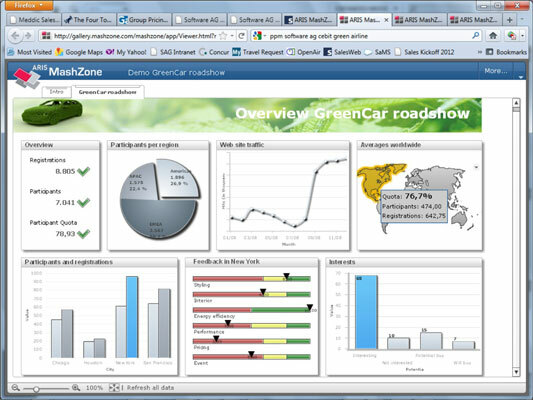 Many balanced scorecards are generated manually by using generic collection and reporting tools such as spreadsheets. 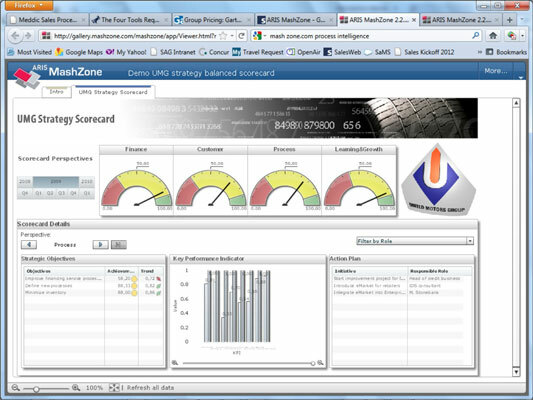 More sophisticated tools sample, collect, and display balanced scorecard information in real time.